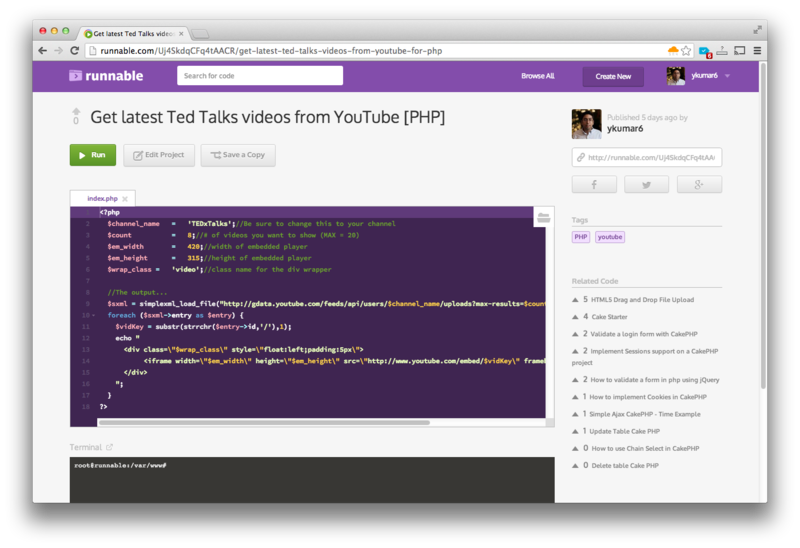 For many developers, Googling code snippets is just part of their everyday routines. Those snippets, however, are spread all over the web. The co-founders behind Runnable, which is launching today, saw this in their own work at Amazon and hosting companies and decided to build what they call a “YouTube of Code” – a site that allows users to discover code snippets and edit and run the code right on their sites. Runnable wants to become the central repository for developers to find their code. To achieve this, it needs to feature as many code snippets as possible, so the team also plans to become the default place for developer-oriented projects to store their code examples. As the company’s CEO and co-founder Yash Kumar told me, the team believes that developers today spend less time writing new code and more time recycling existing parts. Even expert developers, Kumar noted, now have a hard time keeping up with all the new technologies, tools and components. At the same time, more people are starting to code than ever before and they have new APIs to choose from every day. What’s happening then is that, for many developers, coding is slowly becoming more about gluing together existing parts than creating something entirely from scratch. Nobody, however, has made the process of discovering code snippets really easy. Developers today, the company argues, are spending their time looking through internal and external documentation and wikis to learn how to understand the intricate details of each language and API. Besides the languages themselves, the team is also focusing on APIs and on how to use products like MySQL, MongoDB, redis and similar frontend and backend services. The site, for example, features a set of code examples for working with the PayPal API right now, and similar examples for other popular APIs are also in the works. One of the coolest features of Runnable, by the way, is that you can edit the code and test it right on the site. A few years ago, that would have been impossible, but spinning up a few sandboxed environments to run this code is now easy and affordable for a project like Runnable, Kumar noted. Looking ahead, the team plans to add more community features to the service. One idea, for example, is to add a commenting system to the code editor that could be mapped globally across all the projects on the site. 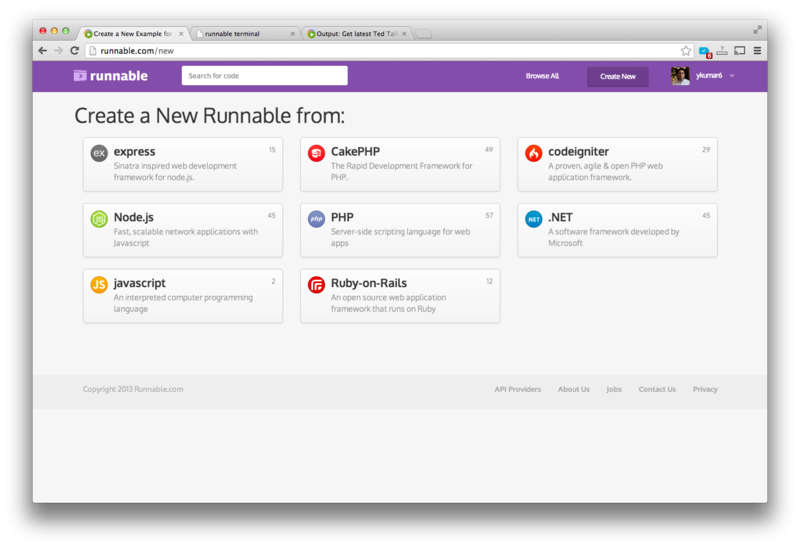 Runnable also plans to add support for more languages and frameworks, too. So far, Runnable has raised a small seed round to get it to this point. Over time, the team plans to work with developer-oriented ecosystem companies to charge them to highlight their code.